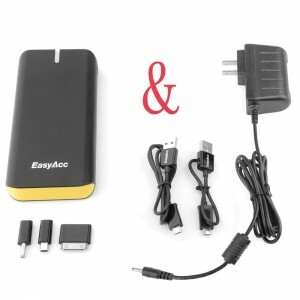 Some of the most affordable portable batteries are made by EasyAcc. 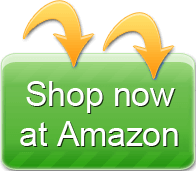 Available in a multitude of capacities with many different features to choose from, you’ll have no problem finding a model that fulfills your needs. View EasyAcc’s comparison summary chart. 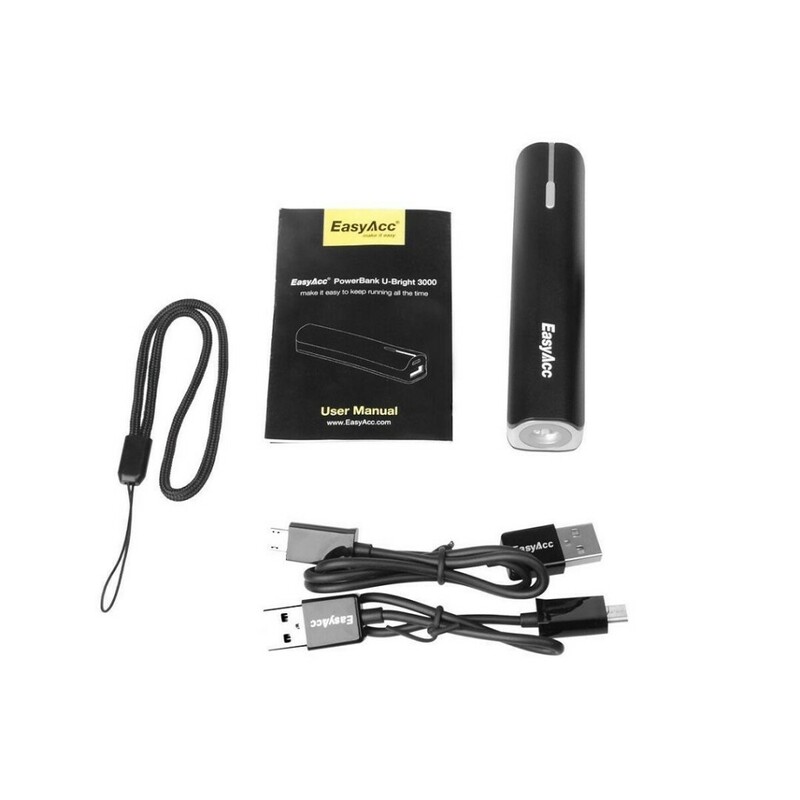 Small and lightweight with a built-in flashlight, the U-Bright 3000 is an excellent portable battery for anyone who wants to take their backup power source everywhere without being weighed down by it. 3,000 milli-amp hours (mAh) capacity, which is just enough to fully recharge an iPhone 5S (2,440 mAh) once. The maximum output rate of 2.1 amps is more than you’ll get from almost all other tiny portable batteries and it allows you to recharge recent Apple and Android devices at maximum speed so you can get that cord disconnected as fast as possible. 4.2 inches long by 1.0 inches wide by 0.9 inches thick makes this a very small battery, and it only weighs 2.4 ounces – so it’s easy to stick this battery in your purse or backpack, or even in your pockets, and not notice that it’s there until you need it for a power emergency. A built-in 40 lumen (bright) flashlight can light your way in the dark or help you search through your purse for a charge cord. Two charge cords are included, although you may have to provide your own cord for you device if it doesn’t use a standard connector. This applies especially to Apple lightning devices whose users will have to use their own Lightning cords with the U-Bright 3000. What makes this tiny battery stand out among other tiny batteries from other brands is its 2.1-amp power. If you want the low profile of a tiny battery and a fast charging rate, this is an excellent battery for you. Very easily, unfortunately. To turn on the flashlight, you have to press the power button twice within one second. The power button sticks out and so it’s easily bumped when you walk around with the U-Bright 3000 in your purse or backpack, turning on the light and draining the battery. About three hours. The U-Bright can be charged at 1 amp (1,000 milli-amps) and it holds 3,000 mAh, so it should take about three hours using a standard USB charger to fully charge it from zero. No. Most low-cost portable batteries don’t have what’s called a pass-through circuit which allows them to charge another device while they’re being charged. If you need a pass-through circuit, look at higher-end Innergie and Jackery portable batteries. More capacity than the tiny U-Bright but still quite a bit smaller than high-capacity batteries from all brands, the Brilliant 5000 is the perfect portable battery for people who need more than one charge for their smartphone or who need to recharge larger devices such as tablets. 5,000 mAh, which is about enough capacity to fully recharge an iPhone 5S or comparable Android phone twice; most Android tablets and iPad Minis can be fully charged once, and huge capacity devices like the 11,666-mAh iPad 3 can be partially recharged. With a 1.5-amp output, Apple and Android devices can be charged at faster than standard speeds – but not quite as fast as may be possible with other portable chargers. 4.6 inches tall by 2.5 inches wide by just 0.5 inches thick and weighing 4.7 ounces, making this portable battery smaller than most smartphones but with about the same weight. That means it will fit perfectly in the smartphone-sized pockets that commonly get sewn into modern purses, backpacks, pants, and more. It comes with two charging cables of different (but short) lengths. You will need to provide your own charging cables for specialty devices such as 30-pin or Lightning Apple devices. Available in black or white with several different options for highlights (green, blue, orange, and red). This could be the best battery size for anyone who needs reliable power for both smartphones and tablets – as well as for future smartphones which will continue to increase in capacity. It’s small and packs plenty of power, so you’ll have everything you need for normal situations plus some extra for unexpected emergencies. 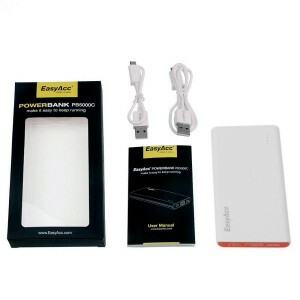 About 80%, which means that of the 5,000 mAh in this battery, your device will be charged up by about 4,000 mAh. An 80% efficiency is relatively standard among affordable portable batteries, although more recent portable batteries, such as those from Anker, get about 90% efficiency – so they provide about 10% more power for the same capacity. It will take about six months for this battery to drain completely, although it will probably lose about 10% of its charge in the first two weeks and another 10% of its charge in the second two weeks. After that, it will slowly lose charge until it’s completely drained. As long as you remember to charge it up every month or so, this will make an excellent emergency charger – just remember to keep your device’s charging cord with you. Yes. The Brilliant 5000 will charge from any standard USB charger, whether it’s from your laptop attached to a travel adapter or a $5 USB plug designed for the country you’re in. USB is used around the world, so you can charge your battery anywhere. With almost as much capacity as an iPad 3, the Brilliant 10000 has enough power to recharge almost any tablet on the market at least once and can recharge most smartphones and other devices two to six times. As you’d expect, it’s also a fair bit larger than the previously-reviewed models – but it’s still plenty small enough and light enough to carry in a purse or backpack. 10,000 mAh – compare that to the 11,666-mAh iPad 3, which is one of the highest capacity devices on the market and which can be almost fully recharged on the go by the Brilliant 10,000. The two USB ports on the Brilliant provide 2.1 amps and 1.5 amps respectively, so one port can charge your Apple Lightning device at full speed while the other port can charge any other USB device. 5.2 inches tall by 2.8 inches wide by 0.6 inches thick, making this roughly the shape of a large smartphone such as the Galaxy Tab. It weighs 8.5 ounces, which is not quite twice as heavy as a typical modern smartphone. It comes with two charging cables of different lengths, but you’ll have to provide your own cable for devices without standard USB ends, such as Apple 30-pin and Lightning devices. It’s available in Black or White with various highlight colors (green, blue, orange, and red). Whether you want to charge your smartphone every day for a week during a camping trip or recharge your tablet after a long day on the go, the Brilliant 10000 has the capacity you need to keep moving. Although it’s a bit longer than the devices previously reviewed, it should still fit comfortably in most bags. Yes and no. The portable battery has a 10,000 mAh capacity in its 3.7 volt battery, but it charges devices using 5 volts, so you might not get all the amps you expect. However, almost all mobile phones, tablets, and other portable devices also have a 3.7 volt battery, so the capacity is accurate for these devices. The exception would be if you use this device to power another USB device, such as a Raspberry Pi, where it will draw the full 5 volts. 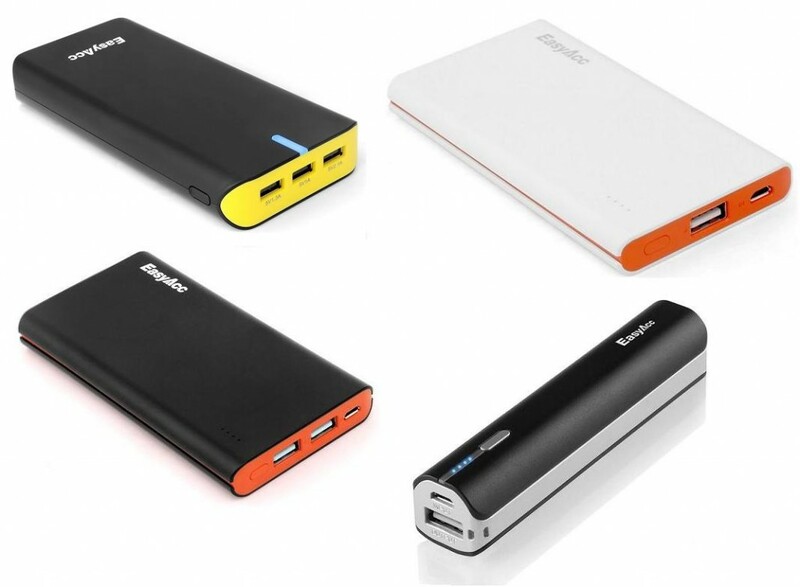 Note that all other USB portable batteries on the market measure capacity the exact same way. No. Laptops netbooks draw more than 5 volts and require more than 2.1 amps, so this battery could never effectively charge your laptop battery. 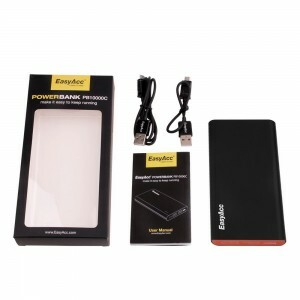 However, you can use any of the EasyAcc Brilliant portable charges to power tablets and other devices which are normally charged using USB. Yes – if you use the right port. The Brilliant 10000 has two USB ports, one labeled with a single lightning bolt which will charge at 1.5 amps, or about the fastest a standard USB device can use. The second port is labeled with two lightning bolts and will charge Apple Lightning devices and recent Android devices at 2.5 amps, which is about their maximum speed. With enough capacity to fully recharge all common tablets on the market, the Ultra 16000 can charge up to three devices simultaneously and still weighs less than a pound. However, unlike other devices reviewed here, the Ultra is not charged from a standard USB port, so it is not so easy to take Internationally or even to charge in your car. You will have to use the included wall plug. 16,000 mAh, which is about 50% more than necessary to fully charge an iPad 3. A total of 4.4 amps is available, with up to 2.1 amps being available to the max-speed port so you can charge devices as fast as possible. 6.0 inches tall by 3.0 inches wide by 0.9 inches thick and weighing 13.0 ounces. Although it may be a bit heavy for everyday use, unless you carry a backpack, the Ultra is excellent for taking with you on longer trips where weight isn’t such a big issue and where its extra capacity will come it quite handy. Comes with a 120 volt (standard North American) power adapter outputting two amps to charge the Ultra and with two USB cords you can use to charge standard USB devices. It’s only available in black with yellow highlights. The upside of having its own charger is that it charges much faster than it could on standard USB power – an important benefit as a standard USB plug would take over 16 hours to charge so much capacity. Although the requirement to use a custom charger is annoying, it’s quite common among high-capacity devices in other brands, making the Ultra 16000 a comparable choice to other offerings from brands like Anker. With its multiple ports and large capacity, the Ultra is a particular favorite among families traveling together – this single device can fully charge three iPhones twice, ensuring everyone can stay connected. Lithium-Ion batteries should last for at least five years and 500 full recharges, although they will often last longer but at a reduced capacity. The 500 full charges means charging them up from zero – if you charge them up from half-full, you’ll get double the number of charges. Yes and no. As the device nears full charge, it will stop accepting more power from the Ultra. However, the Ultra will not shut itself off, so even though only a little bit of power is being drained from it – just enough to keep the charge active – the Ultra will not stop charging automatically. To stop charging, you’ll have to disconnect the Ultra from the device. Probably not. Although there are a number of 2-amp solar collectors, none of them will likely have the correct connection for the Ultra 16000, so you will either need to do a lot of research to find one that’s supported or to make your own adapter (which isn’t recommended unless you’re familiar with electrical principles). If you take a close look, you’ll discover that EasyAcc often offers the same batteries as more expensive brands just with different cases or colors, making them a great option for anyone who wants to save a few dollars without sacrificing quality.